Hockey legend Ken Dryden is calling on the NHL to penalize any play that involves a player making contact with the head of another — no exceptions. Originally published on Oct. 17, 2017. 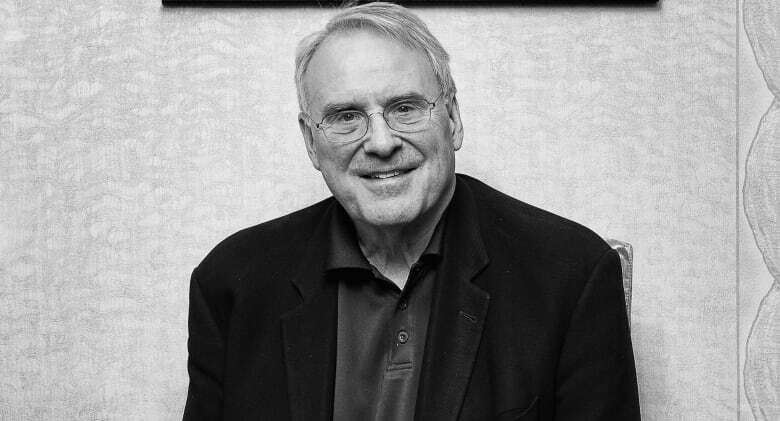 Hockey legend Ken Dryden is urging the National Hockey League to implement new rules that he believes will cut down on the number of concussions sustained by players during games. "Concussions affect a life. They don't just affect the ability to play a sport," Dryden tells The Current's Anna Maria Tremonti. 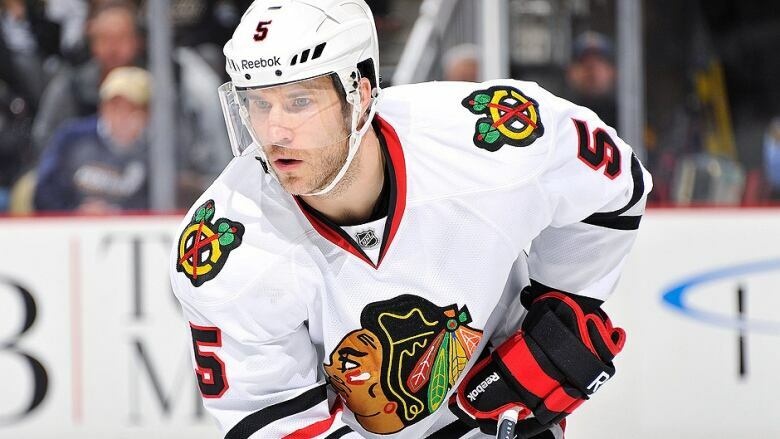 In his new book, Game Change: The Life and Death of Steve Montador and the Future of Hockey, the Hockey Hall of Famer and long-time concussion advocate, explores chronic traumatic encephalopathy (CTE) through the tragic fate of one hockey player Montador. The former defenceman who played for the Calgary Flames and the Boston Bruins, died in 2015 at 35-years-old. He arranged to have his brain sent for examination to see if he had CTE, a brain disease linked to repeated concussions, which can only be observed through an autopsy of the brain. A neuropathologist confirmed he did suffer from the disease. Montador's family is now suing the NHL, alleging the league had failed to keep him safe and furthermore, failed to warn him of the long-term effects of brain trauma. "One of the saddest parts of the whole thing is that Steve died thinking it was all his fault," Dryden says. "Steve was experiencing a lot of the symptoms that people with head injuries have. Memory problems, anxiety, depression, difficulty on focusing, difficulty in terms of making decisions, and putting the pieces together and sorting things out," he explains. "And so in the end, it was really a lousy life." The NHL has been under scrutiny in recent years after several NHL players were found to have had concussions at the time of their deaths. It's why Dryden feels compelled to call for a change in professional hockey with no hits to the head in game play. Period. "Whether they are intentional or accidental, whether they are incidental or significant, whether they are from an elbow or a fist or something else, it doesn't matter," Dryden says. "The brain doesn't distinguish." "It's about the injury. It's about the brain. It's about the player being hit. It's about the effect of it — not the cause." Part of the problem, Dryden says, is how much the game has changed in the last 60 years — specifically the speed and intensity. "What happens is that you've got more players going after the puck. Full speed. There is less space, less time, more collisions and more forceful collisions because they are moving faster." According to Dryden, unlike in football, there are clear answers for how to curb the tide of head injuries in hockey. But it all starts with getting NHL commissioner Gary Bettman on board. Dryden met up with Bettman a couple of weeks ago in New York. "You are the first person who is reading the final version of this book because you are the ... central actor in all of this, and you need to know what's there," Dryden told Bettman after handing him Game Change which Bettman promised to read. Dryden suspects players might have a difficult time getting on board with the changes necessary to stop head injuries. But says just like how the players acquiesced and now adhere to the no stick to the face rule, Dryden believes the league will fall in line again. Update: Aug. 27, 2018: Ken Dryden continues to call on Gary Bettman and the NHL to do more. At a concussion symposium in London, Ont. earlier this month, Dryden was joined by another NHL great, Eric Lindros. The former NHL forward called on the NHL to consider banning body contact altogether.